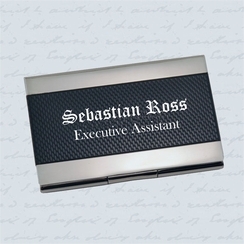 Business card holder measures 3 3/4" x 2 1/2". All of our business card holders can be engraved. Just type what you would like and choose a font! 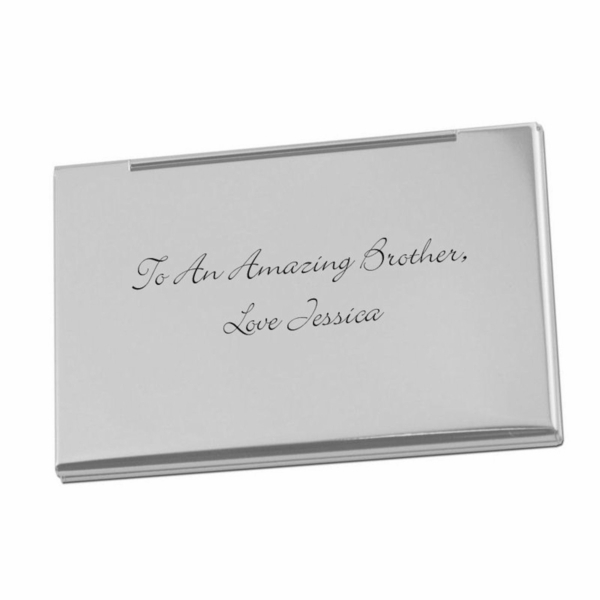 There are many font styles to personalize your engraved gift with. 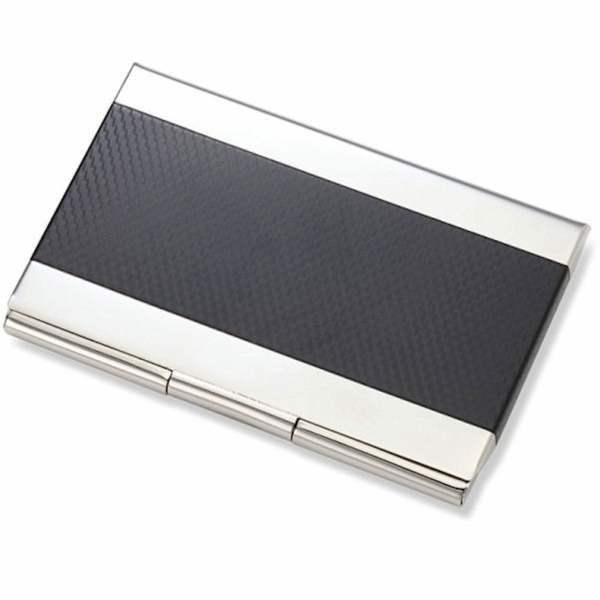 The engraved business card holders come in either stainless steel casings, high polish silver/gold finishes, or leatherette covers. Impress future clients and business contacts when you hand them your card directly from your personalized business card holder. 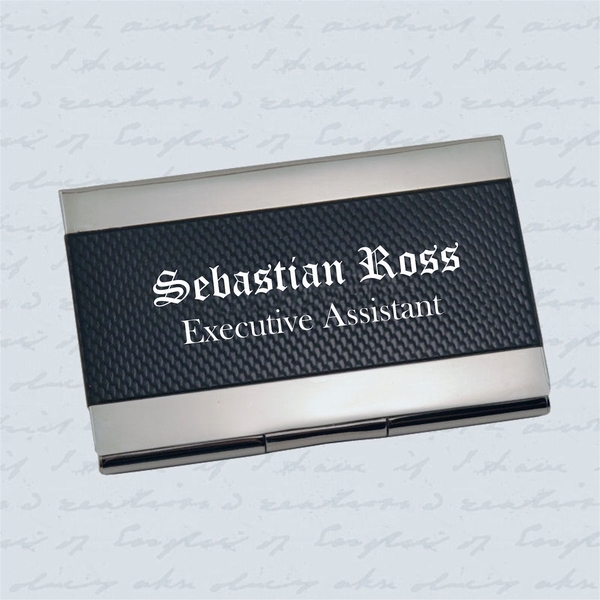 This sharp looking engraved card holder might just help you close the deal! All of our personalized business card holders are engraved and shipped the same day the order is received making sure your gift arrives just in time.